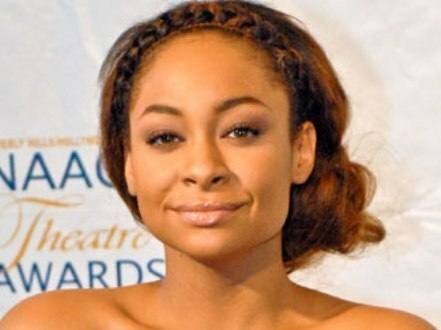 Actress Raven Symone is again at the center of lesbian rumors. According the the National Enquirer, The Sister Act actress has always been very reserved about her dating life, but is now ready to come out the closest about her sexuality. “Raven has lost almost 30 Pounds, has done a whole image makeover, and now she is the star of ‘Sister Act’ on Broadway,” said a close source. “She’s at a point now where she doesn’t care what her family thinks, and she’s in love with AzMarie. She’s a lesbian and wants to live that way. “Raven has hidden being gay for a long time now,” said the source. “But about a year ago, she was introduced by a friend to AzMarie, who is absolutely gorgeous. “The two began see­ing each other, and a few months ago, Raven finally got the nerve to ask her to move into her lavish Manhattan condo. “When her family found out, they blew their stack and it’s created a gay scandal for Raven. Raven want to be totally busted from the community of Lesbian because she is so more upset for life of lesbian woman. KMT – Don’t believe everything u read on here – didn’t they say that Kartel did escape from prison when nutten go so? She chooses to keep her private life private rather than have it spread all over the papers, magazines etc and that is her right so they make things up – do what she does – IGNORE THEM! 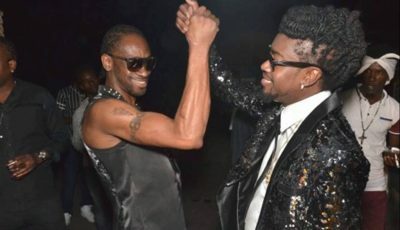 *sighs* dis nah di 1st time dem ah seh Raven a lesbain she nuh nuh lesbain.. dem just waan sumting fi seh… years ago dem ah seh Raven wah a lesbain like inna 2006 an’ she said she nuh lebsain dis rumor vex mi suh.. me ave nuh against lesbain nor gay mon but why people believe ah lie like dis.. mi doubt dis true mi only believe it wid mi own ear dem. nuh no internet..
its her life, her choice anyway! Don’t send me NOMORE batty mon nor lesbian stories cause mi not intrested in hearing it…THANK YOU! mi never know she a lesbian.